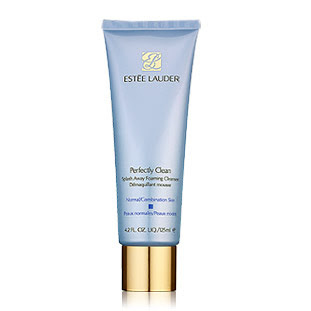 If you have normal or combination skin, you might consider using Perfectly Clean Splash Away Foaming Cleanser by Estee Lauder, a refreshing foam that thoroughly cleanses and rebalances your skin. It lightly hydrates and conditions and it`s based on White Water Lily, Senega and Barberry. It leaves skin fresh and clean, without that dryness sensation. Research Estee Lauder best creams.